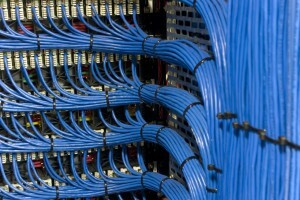 EDF Systems specialise in cabling infrastructure networks. Our testing equipment has recently been upgraded to the new FLUKE DSX 5000 analysers to offer you up to date testing, giving you the peace of mind that your network will reach the quality performance you are paying for, for now, and in the future. Our vendors back us, offering you, the end user, the long term warranty you require. CAT5e, CAT6, CAT6a and CAT7 integrated cabling applications for networks to suit your requirements.